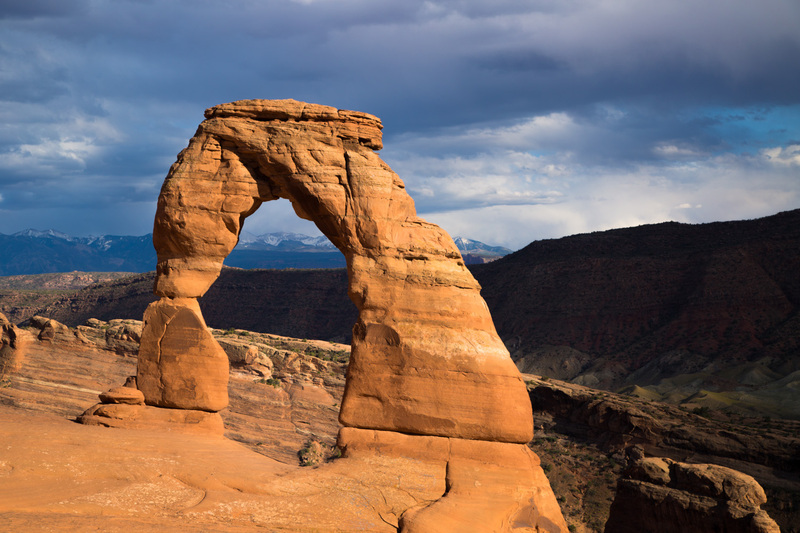 Delicate Arch… what a magnificent landmark! 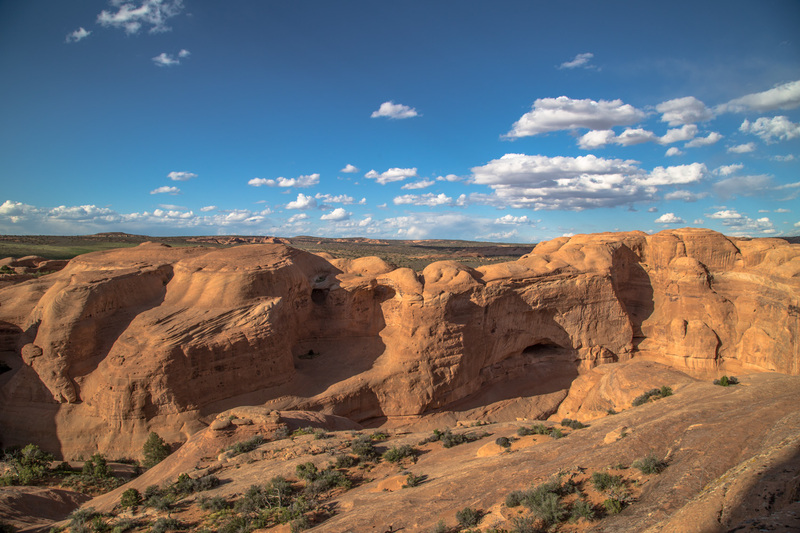 It’s no wonder that it is one of the focal points of Arches National Park! Just the hike to the arch is incredible. Brian and I had taken all four kids and we didn’t want to rush. We let the kids set their own pace and stop when they needed a drink or rest their legs. 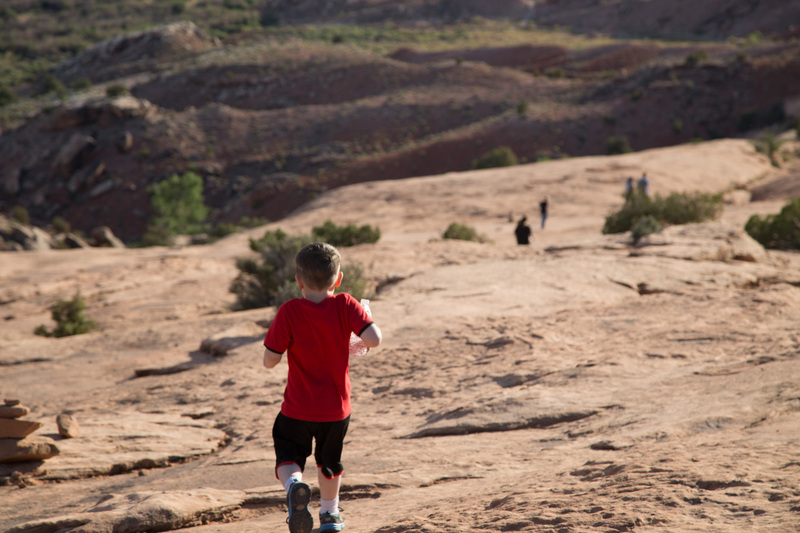 We were surprised that Parker, age 4 at the time, was not bothered by the steep trail getting up to the arch. His brother, Justin, who has difficulty with his feet, led the expedition much of the time. They loved the rock formations along the trail. Because we took our time hiking up, it was about an hour to get to the arch from the base of the trail. 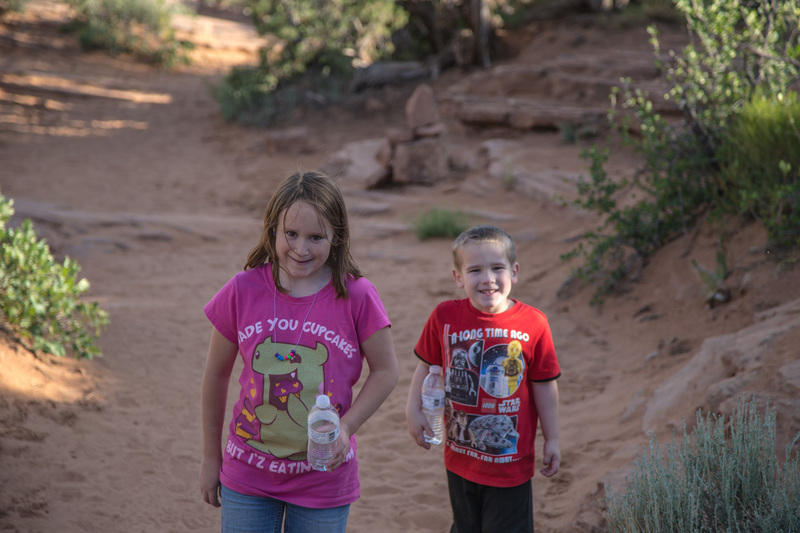 Brian, the kids, and I brought a water bottle with us so it made the hike easier. A hiker would be foolish not to take two or three water bottles with them during a warmer time of the year (it was a cool May late afternoon when we visited). 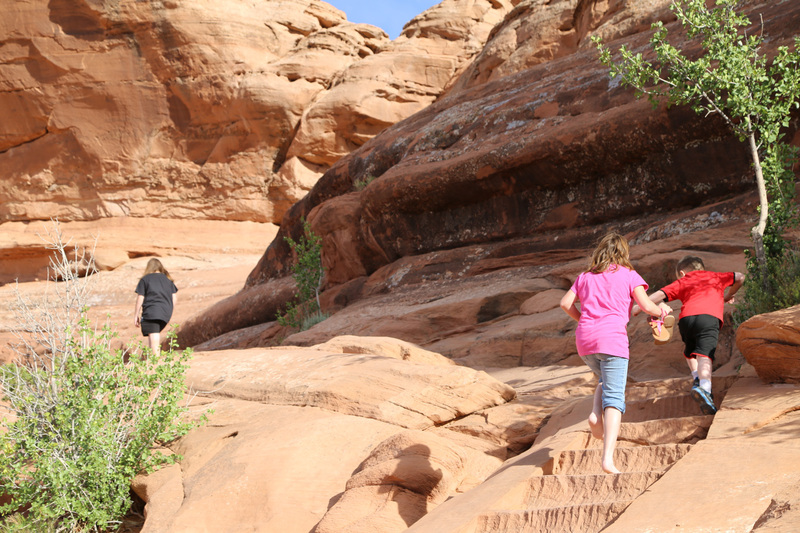 The trail is a bit steep at one point but that didn’t stop our fearless kids! Everyone was excited for the reward up ahead. The view was nothing like we had ever seen. The arch is separated from the trail by a gigantic bowl. Anyone with problems with vertigo or has a fear of heights might consider other arches to see. In fact, even the boys were a little scared at first to walk around to the arch, but realized if they paid attention and didn’t rush when walking, it was an easy stroll. The trail and arch weren’t crowded so it gave us plenty of time to enjoy the scenery and take pictures. It took us about thirty to forty minutes to hike back down. I was a little more concerned about the trek back because Parker had become too comfortable with the terrain. Thankfully, there were no problems and the scenery was just as pristine coming back down the trail. 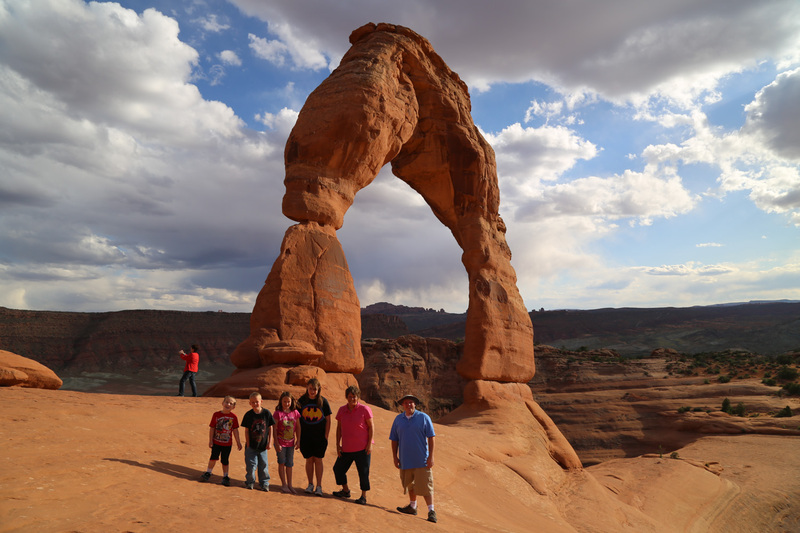 By the time we got to the car, the kids were already talking about going back to Delicate Arch in the near future. 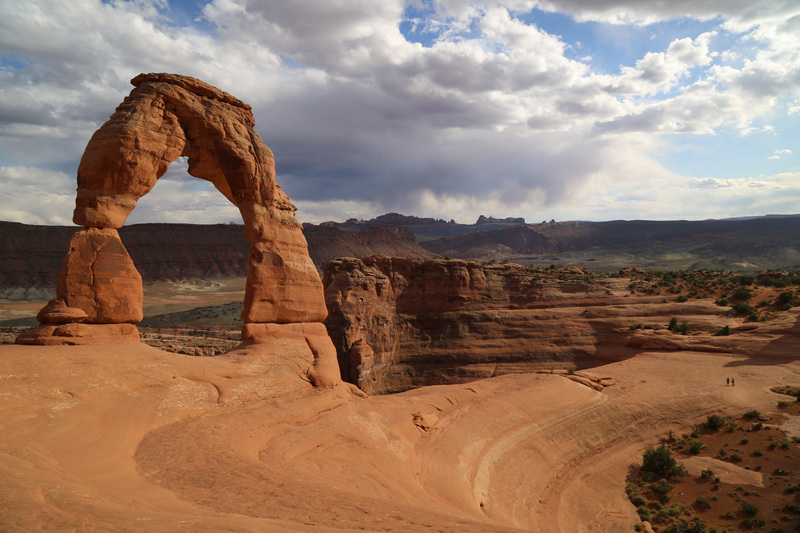 Delicate arch can be seen from a lookout on Delicate Arch road. This is best for those with a tight schedule or those who don’t think the hike is for them. Ask a Ranger for more details. Again, do NOT underestimate the heat. Please be prepared with water, sun protection, and a snack or two. 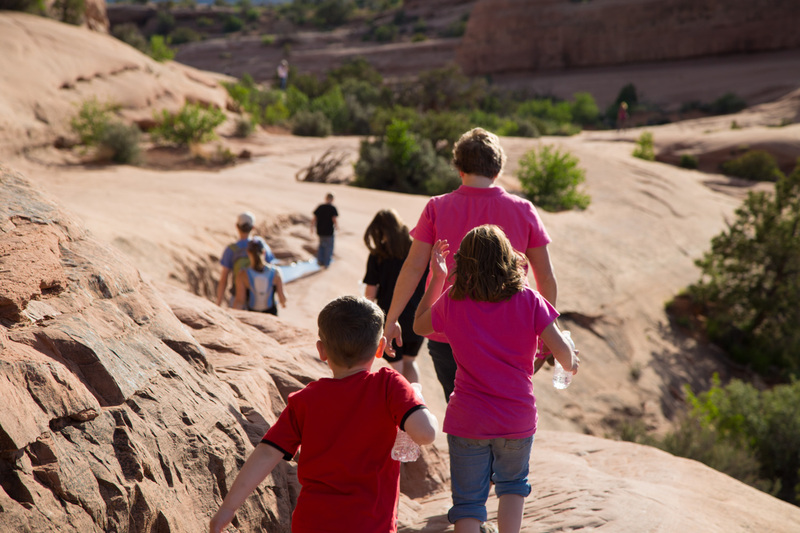 Check out our other posts reviewing hikes, places to stay, and things to do in and around Moab!